I’m author Victoria Williamson – welcome to my website! Here you’ll find all the latest news on my children’s books, as well as podcasts, competitions and much more. I grew up in Kirkintilloch, north Glasgow, surrounded by hills and books, and started writing adventure stories at an early age, with plots and characters mostly stolen from my favourite novels and TV shows! These days my stories are all my own, featuring the voices of some of the many children I’ve met over the years on my real-life adventures around the world. I’ve been a teacher for many years, working in all sorts of exciting places from Cameroon, Malawi and China to the UK. I have lots of educational resources available to go with my books, and am very happy to visit schools to talk to students about reading, writing and the issues raised in my books. Have a look on my school visit and resources pages to find out more. 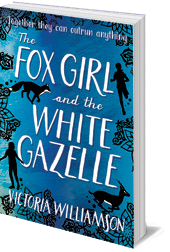 The Fox Girl and the White Gazelle is my debut novel, and tells the story of twelve year old Syrian refugee Reema and her friendship with Glaswegian school bully Caylin. Twenty percent of the author royalties for this book are donated to the Scottish Refugee Council. 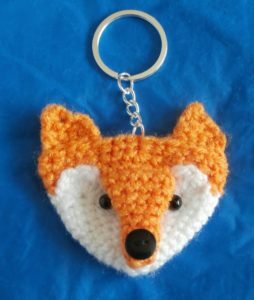 Enter The Fox Girl and the White Gazelle Animal Poetry competition and you could win a poetry booklet with all the best entries, including yours! Go to the competition page for more details.